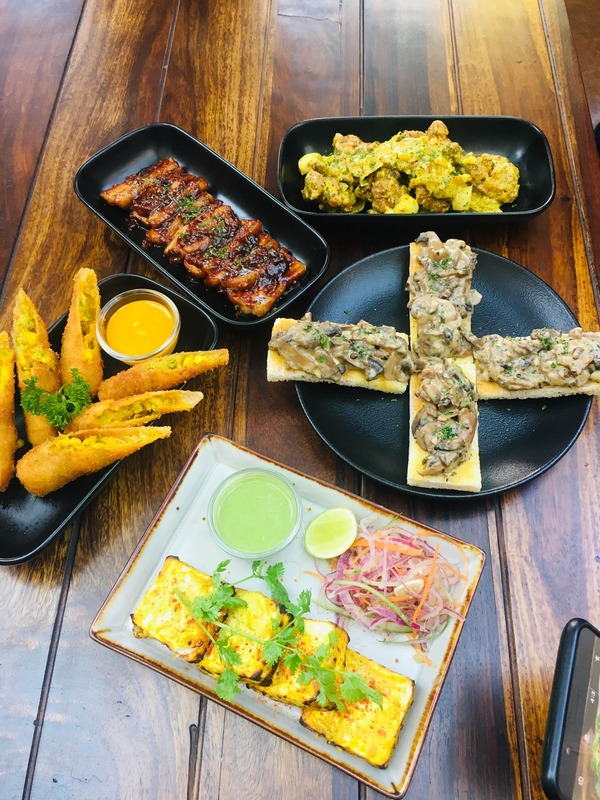 After a huge success of the Koramangala outlet, Sotally Tober has recently opened their second outlet in Residency Road. The place is huge with both kinds of seating arrangements: indoor one with the bar attached and also an outdoor with seating arrangements. The decor has a rustic kind of effect and the outside area will give you the feeling of a classy heritage building. They use #soto for the dishes in which liquors are served which was quite a cool thing. 💁🏻‍♀️ Tried quite a number of dishes and cocktails and here are my recommendations for the must try ones: Cocktails: Summer’s Coming: It was a combination of watermelon, gin and sparkling wine. This one the kind of cocktail your heart wants on a daytime get together. Quite refreshing! Sulaimani : Inspired by the sulaimani chai. Made out if whisked tea, tequila etc. Organic Caipiroska: Organic jaggery is used with homemade vanilla vodka and it is topped with snow crushed ice. Coco Velvet: It is a beautiful concoction of coconut rum with chocolate liquor along with spices and herbs. Coming to the food all are amazingly delicious and if I have to shortlist a few here are my top picks: #Soto Mushroom on toast: Delicious! Stir-fried mushrooms, shallots, garlic are tossed in white wine, served over crunchy butter toast. Brocolli and corn cigars: Crispy fried cheesy broccoli along with corn in spring rolls, served with chilly mango relish. #Soto Pork Belly: The best one amongst all! Pork belly sauteed with honey, Asian spices and rum. #Soto Tandoori Jhinga: Tandoor cooked, spice and rum marinated prawns are served with mint coriander chutney and tandoori salad. Malabar Tenderloin Fry: Spicy beef tenderloin is cooked in Kerala spices and tossed with grated coconuts. Spaghetti Aglio Olio: If you are a bacon lover, don’t forget to add bacon to it, cause this combo tastes heavenly🙈. Spaghetti is generously tossed with olive oil, chilli and garlic, topped with grated parmesan cheese. Loved loved loved it ❤️ Now my favourite part: desserts💁🏻‍♀️ #Soto carrot halwa: Traditional carrot halwa is served with vanilla ice cream and whiskey rabdi. It was just amazing! Liked the unique concept of using whiskey in rabdi. Perfect! #Soto Chocolate Mousse: Dark Chocolate mousse is served with dehydrated orange rind. The flavour of both blends just perfectly ❤️. The scrumptious dishes and classic signature cocktails of Sotally Tober along with classy decor will make you fall in love with the place. A must visit!